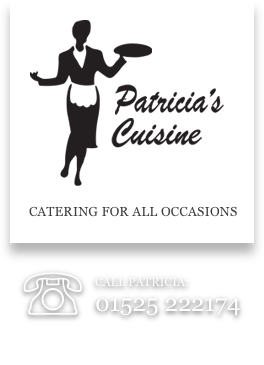 On a hot Summer's day, what can be nicer than a BBQ or a hog roast with marinaded meats, crispy crunchy salads, hog in a roll, all freshly cooked before you by Patricia and her team. All BBQs are costed per 80 - 100 people. Please ask for rates for lower numbers. 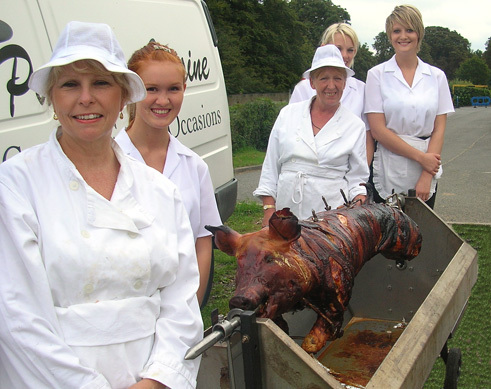 strawberries & cream All hog roasts include staffing, service of hog, crockery, cutlery if required.